This site is about drug-free, healthy, weight lifting and muscle building. It’s aimed at any normal guy or girl that wants to look and feel better. There’s a lot of information on the web about bodybuilding and dieting. Lots of it is total crap, aimed at steroids users or intended to sell you pricey supplements or programs. So with tons of contradictory information, it’s hard to figure out what to do. Here you will find simple and short articles about strength training, muscle building and fat loss. Straight to the point facts, no bullsh**t or biased info to try to sell you anything (unlike most of the other sites). I’ve first hit the gym 20 years ago. At that time I was really scrawny (5’10” 115lbs). I have to admit that most of my training years were basically useless. It’s only in the last 2 years that I managed to figure out what was wrong. And now I’m almost at 200 lbs ( with a few pounds of fat to lose…), I can squat 300lbs and deadlift 350lbs. And I’m getting stronger and bigger every month. I spent hundreds of hours reading books, articles and website about training and dieting. I also have an extensive scientific background and know a few health and fitness specialists. I will try to summarize my knowledge here to help achieve your goals and avoid the mistakes I made. You’ll see that creating a great physique is quite simple: Train smart, eat well and rest a lot. Simple, but not easy; it takes efforts, persistence and patience. 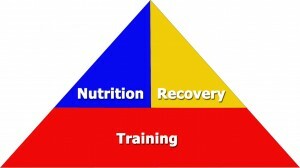 I believe the three keys to unlock your full potential are: training, nutrition and recovery. All of them equally important. It’s a basic theme from WordPress (Twenty Eleven) with a few personnal modifications. I chose this design because I think that simplicity is best when you want a good looking, efficient blog/web page. Thanks for your comment. I agree with you, but this is a project I started long ago and didn’t really have any time to put into it. With the kids, studies, gym, etc… Not much time left for writing. Maybe, in the future I’ll be able to work on this site a little more. of sense. But, think on this, suppose you added a little content? a person’s attention? I mean Musclefacts | Knowledge is Power. or two to grab readers interested about what you’ve written.